Mobile Assistant is a mobile security utility provides a one-stop solution for your mobile’s safety, management and maintenance! 【Key Features】 - Mobile Informaition: Such as the Memory Usage,Storage,Network Status, and detail of system and hardware information - Network Speed Test:The most professional speed-testing tool in the WP market, let you know the upload/download speed by one key - Cache Cleaning: This app can help you to realese some Storage by activate the system mechanism - Battery Health:You can check your battery level from a live tile or lock screen - Fast-access assistant: You can pin the piles to homescreen, such as Wi-Fi, Network, Flight mode, Location, Bluetooth and Flashlight to the homescreen >>Professional Security Advisor offers you: -System Scanning. Checks your system for potential security risks, and tells you how to get rid of them. -Location Services. Checks if your Location Services is running and explains how Location Services may affect your privacy. >>Cache Cleaner cleans system cache and releases "hidden" storage. It displays storage usage and gives your advice on whether a cache-clean is needed or not. If you decide to perform it, a broad button is right there that you can click. It will first scan, then clean and finally a report will tell you how much cache has been cleaned and how much space released. >>The Private Vault feature is a unique way of storing your private media like photos, videos and audio recordings. From the interface simply swipe up on the top half of the screen to access the hidden pattern lock screen. Only after inputting the proper sequence may the user access their multimedia cache. Only the user will know that these photos, videos and audio recordings even exist! >>Photo Collage is a powerful collage maker and photo editor for you Photo Collage is a unique photo editor for people who love taking photos and want to edit their pics in a simple way. Take a photo, add some awesome filters, use text editor or connect your photos in one amazing collage. Use photo grid, to create amazing photo collages. Photo Collage gives you private gallery where you can save your photos & collages. You can also easily share your photos with your friends on Facebook, Twitter, Foursqure, Flickr and Tumblr. 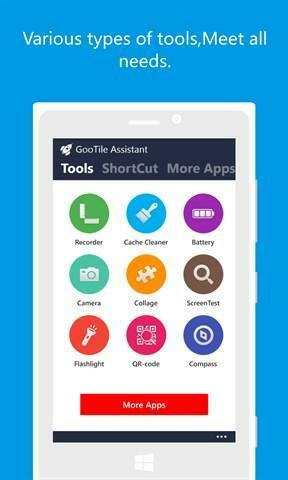 Mobile Assistant is a collection of software tools。Voice Recorder, Cache Cleaner, Battery Saver, Camera Magic, Photo Collage, Screen Pixel Check, Flashligt, QRCode, Compass and other tools. 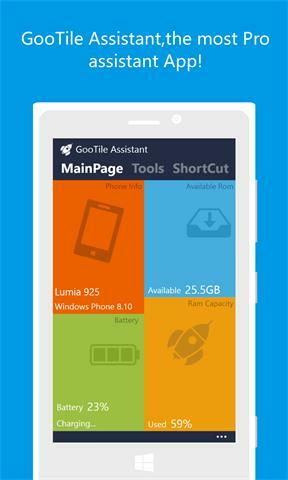 Mobile Assistant is the most efficiency mobile phone management tool. It Can provide users with huge amounts of games, software, music, stories, videos and pictures. With Mobile Assistant, you can easily download, installation and management of mobile resources, convenient one-click installation, application management of oceans resources, and other functions.